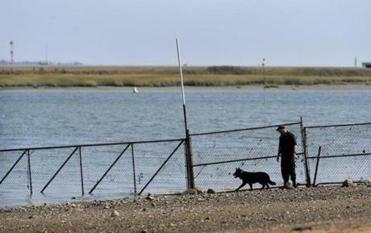 Wilson Martinez’s body was found Monday morning on Constitution Beach in East Boston. He came here from El Salvador about 2½ years ago with his younger brother. His mother worked tirelessly at a Winthrop pizza and subs joint to scrape together the money to bring the boys to Boston. But just 11 days after Wilson Martinez celebrated his 15th birthday, his American dream was over. His body was found Monday morning on Constitution Beach — just one day he before he was to begin his sophomore year at East Boston High School. Investigators say he had been fatally stabbed. No arrests have been made. His mother, Estela Martinez, stood in the parking lot Wednesday near the spot where her eldest son was found dead and said the boy never bothered anyone. The boy’s death is being investigated by State Police detectives assigned to the office of Suffolk District Attorney Daniel F. Conley. Investigators are asking anyone with information about the case to come forward. Wilson Martinez lived near Constitution Beach, where his body was discovered early Monday. Martinez’s uncle, Jorge Lopez, 43, said his nephew enjoyed working on cars and aspired to one day open his own autobody shop. The teenager’s father and grandfather worked as mechanics in El Salvador, Lopez said. Martinez shared his love of cars with his three younger brothers and brought home model vehicles for the boys. On Wednesday, his youngest brother played with toy models of a white 1968 Chevrolet Chevelle, a red Ford Mustang, and a yellow 2007 Chevrolet Corvette. All were gifts from Martinez. The little brother, who is 4 years old, munched on cheese pizza that the staff at his mother’s work brought to comfort Martinez’s family Tuesday night. Anthony Alexandrou, the co-owner of Nick’s Place, recalled how happy Estela Martinez was to bring Wilson and his younger brother to Boston, where they lived with two other brothers who were already here. “My son’s coming. My son’s coming,” Alexandrou quoted her as saying. “She wouldn’t stop talking about it,” he said. Alexandrou said he cried while visiting Estela Martinez at her East Boston apartment. Mayor Martin J. Walsh called Martinez’s death sad. Boston Police Commissioner William B. Evans said his officers are helping State Police. East Boston High School Headmaster Phillip Brangiforte visited Martinez’s mother Wednesday morning, according to Lopez. He said Martinez wanted to go to college and displayed a picture of the boy posing in front of orange lockers dressed in a blue East Boston High School polo shirt. He said Martinez did not speak English when he arrived from El Salvador but picked up the language. 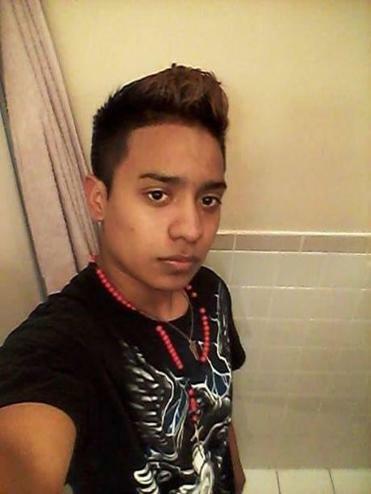 The teenager also enjoyed soccer and composing rap songs in Spanish, his relatives said. “He was excited because he saw a big opportunity to go to college,” Lopez said. Lopez said he last saw his nephew Saturday. Alba Azucena López, consul general of El Salvador in Boston, said many from the Central American country come to the United States to work. Lopez said what hurts most is that Martinez left his less prosperous homeland only to die here. Martinez’s youngest brother played with the white, 1968 Chevrolet Chevelle the teenager had given him. The boy, whose mother asked that he not be named, reflected on his big brother’s life. Jan Ransom and Maria Sacchetti of the Globe staff contributed. Laura Crimaldi can be reached at laura.crimaldi@globe.com.